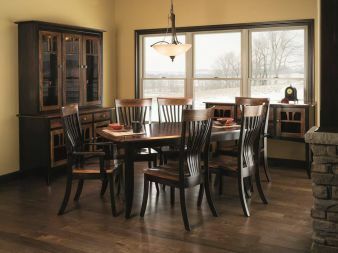 Countryside's Amish artisans use only solid wood in building your fine handmade Amish furniture. Not only is our furniture built in the USA, but all our wood species are responsibly harvested here using sustainable forestry techniques. Your heirloom quality furniture for dining room, office, bedroom, living room, or baby's room will be made exclusively from the domestic hardwood species you select. Handmade Amish furnishings for dining room and kitchen include solid wood dining tables, bistro tables, chairs, barstools, hutches, buffets, and more. 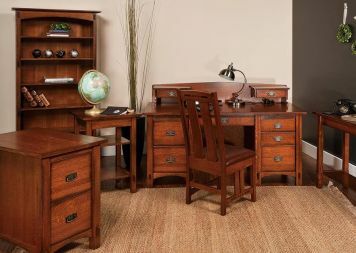 For home or work, our fine office desks, chairs, file cabinets, and storage solutions are solid wood, handcrafted, and built to last a lifetime. Our Amish handcrafted bedroom furniture includes a variety of bed styles, dressers, chests, chifferobes, and other elegant solid wood furnishings. 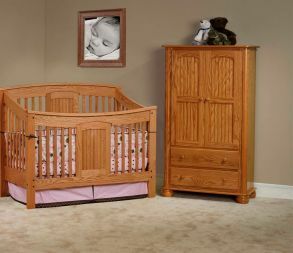 Baby deserves the finest Amish-built convertible crib, dresser, changing table, and chest of drawers made in the USA from renewable domestic hardwood. 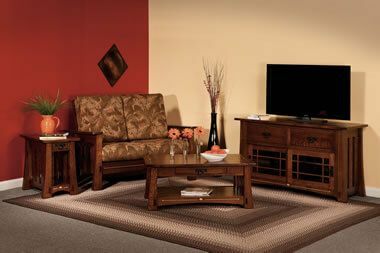 Your living room focal point could be an entertainment center, with a coffee table, end tables, sofa and love seat. 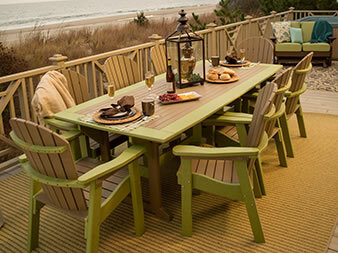 Browse our large selection of eco-friendly patio and outdoor furniture including Adirondack chairs, outdoor dining sets, and accessories.